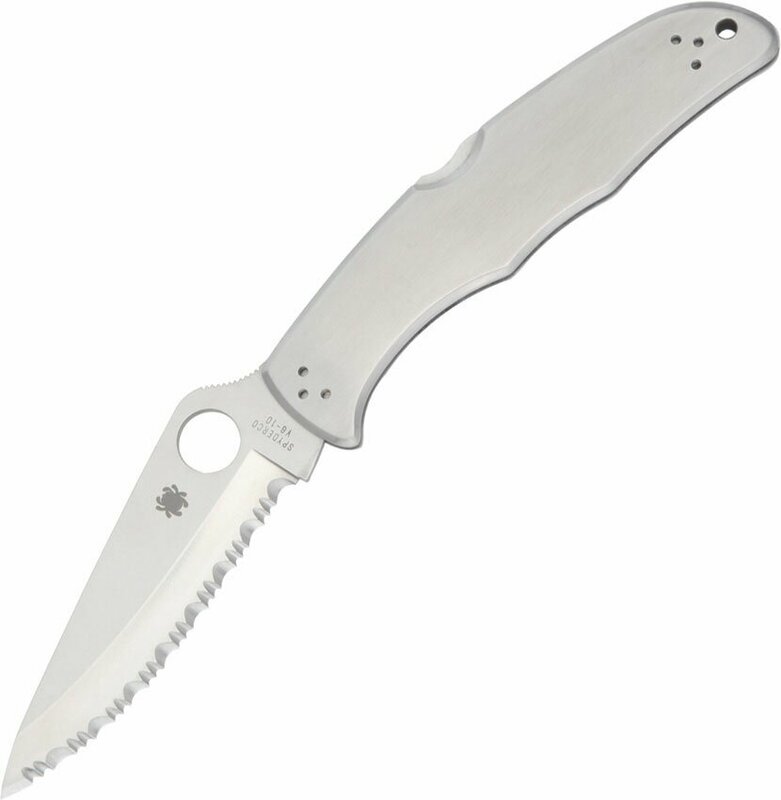 Spyderco Endura 4 Stainless Steel Spyder Edge - serrated(C10S) High quality Spyderco knives, folding knives, tactical knives. As part of Spyderco’s CQI™ (Constant Quality Improvement) philosophy the C10S now offers improved ergonomics – added to the blade’s spine is slip resistant jimping, a larger thumb hole, a stronger thicker tip and a new 4-way clip design (R/L reversible & Tip-up/Tip-down). The hollow-ground blade has been upgraded to VG-10 and is available in a PlainEdge (not pictured), SpyderEdge or CombinationEdge configuration.